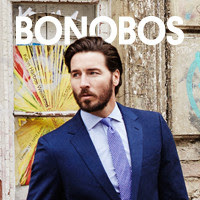 Stacy Tilton Reviews: Check out Bonobos' Summer Shop for hot Swimwear! Check out Bonobos' Summer Shop for hot Swimwear! Any plans to go jump in a lake this summer? How about catching a few waves or lounging like a boss by the pool? Whatever summertime swimming fun you have planned, it'll be all the more enjoyable in a pair of Bonobos' swim shorts. Their 9" board shorts are functional, versatile, and quick-drying, which means you can go right from the pool to a cold drink in the lounge without leaving a water trail behind you. They've also got slick-looking 7" board shorts and trunks that are perfect for those who prefer their swimsuit to hit a bit above the knee. And for those fellas who don't mind showin' some leg, Bonobos' Summer Shop also features a vintage-inspired 5" short. Hey, if you've got it, flaunt it. Whatever length you prefer, the fit, style, and design of these trunks will make them your go-to swim shorts this summer. You can can find all of Bonobos' swim and summer-fun styles at their Summer Shop. Plus, you'll get free shipping and free returns when you buy any of Bonobos' summer styles! I'd never heard of this store before, so I will have to check it out! Love these! My husband would look good in them.